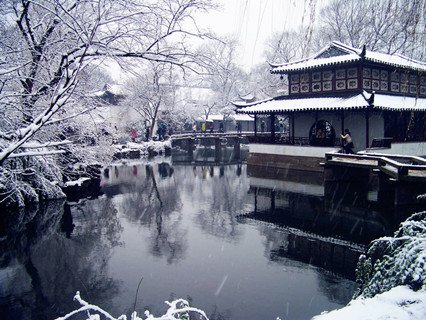 Suzhou is China's well-known "city of gardens", you may feel the charm of mountains,forest and springs without going out of the noisy surroundings of the town. 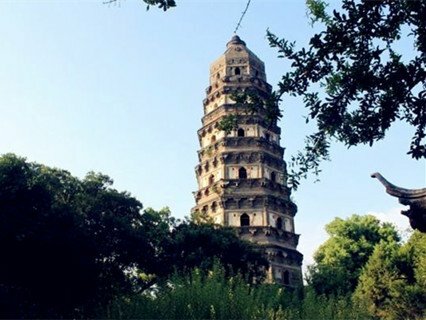 10:00-11:00 Visit the Tiger Hill: Entitled as "the most famous place in Wuzhong", also named "Surging Sea Hill", "Surging Sea Peak". 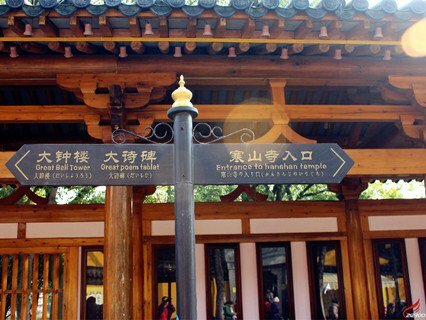 11:00-12:00 Visit the Chilly Hill Temple Pan Gate: ancient temple near the ancient city gate with land and water entrances. One gate with land and water entrances was quite typical in ancient China. 13:00-14:00 Visit the No.1 Silk Factory - Suzhou is also famous for its silk production. In the factory you can see how the silk is processed from the silk worm to the final woven cloth. 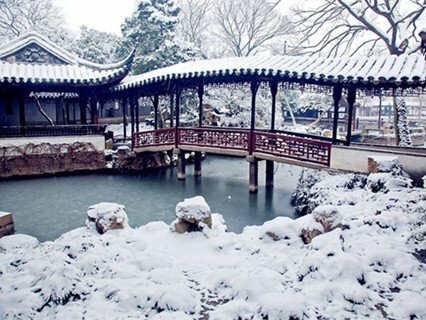 14:00-16:00 Visit the Humble Administrator's Garden (Zhuo Zheng Yuan): the best representative of Chinese classical gardens in the Ming dynasty. 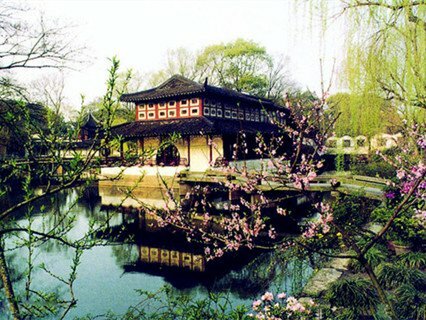 Focused on a central pond with pavilions, terraces, chambers, and towers located nearby, the garden is divided into three parts: the eastern, middle and western parts. 16:00-18:00 Return to Shanghai and transfer to your hotel. 2. When you arrive in Shanghai, our tour guide will call you the night before the tour, if you are not in hotel room, we will leave a message in your room, to inform the time to pick you up in the next morning. The whole program was not done as the driver arrived late more.. I enjoyed the day's excursion but there were a lot of things that need improvement. They are as follows 1. Tour was late picking us up. They had said that they would be at the port by 8:30. They were at least 20 minutes late. 2. We were told that we would have the larger van but we got the 6 person van. We more.. The tour was great. We are two started at 9 am and arrived back to our hotel at 5.30 pm. 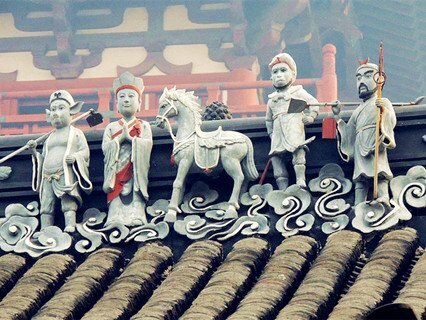 I just noticed there is a silk museum in Suzhou, perhaps instead of going to silk factory we would prefer a silk museum if the itinerary would not be so rigid. 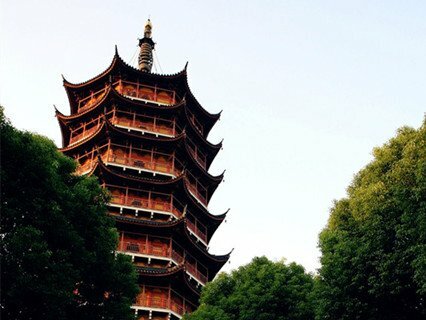 Would recommend to take this private tour to visit Suzhou. more.. Reply : Greetings from ChinaTour.Net It's ok to pick up in Suzhou rather than in Shanghai, what's your hotel information in Suzhou ? where shall we pick you up and drop you off ?